I read just about anything new that comes into our local, rural library. I knew nothing about any of the Judds when I reserved the book. My ever-worldly husband was amazed that I didn’t know about the mother-daughter country singing duo or the actor sister who did a slew of movies. Well, I must revise that. Having watched the Indy 500 in 2010, I knew that Ashley Judd was married to race car winner Dario Franchetti. I didn’t have any expectations about All That Is Bitter and Sweet. Was I ever wonderfully surprised! 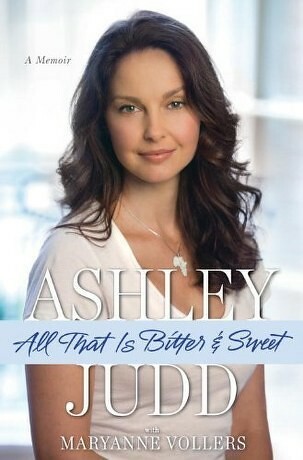 Ashley Judd is an articulate, thoughtful writer. Her personal story unfolds alongside her work on behalf of women and girls in the global south. As she witnesses the abuse and invisibility of girls and women trapped in sexual slavery, ravaged by HIV/AIDS, and the other injustices wrought from no access to education, healthcare, or economic hope, her own experiences of abuse and being invisible are crying out to be voiced too, if only to herself. This is not your typical tell-all-I’m-a-victum-celebrity story. There is none of that in the book. Her insight is hopeful and affirming and speaks to the inner longings of most of our hearts. Her message is inspiring, but her unconditional love is contagious. I get asked what books I’m reading and what I recommend for various topics. You’ll find some suggestions in the Recommended Books category. There will be sub-categories by topic to make it easier for you to find books under topics interesting to you. I’ll be adding books regularly. I’m ALWAYS looking for good recommendations myself. Feel free to email me your favorites reads!